If you're anything like us you'll be itching to unlock all the goodies in Super Mario Maker so you can begin to create amazing levels of your own. 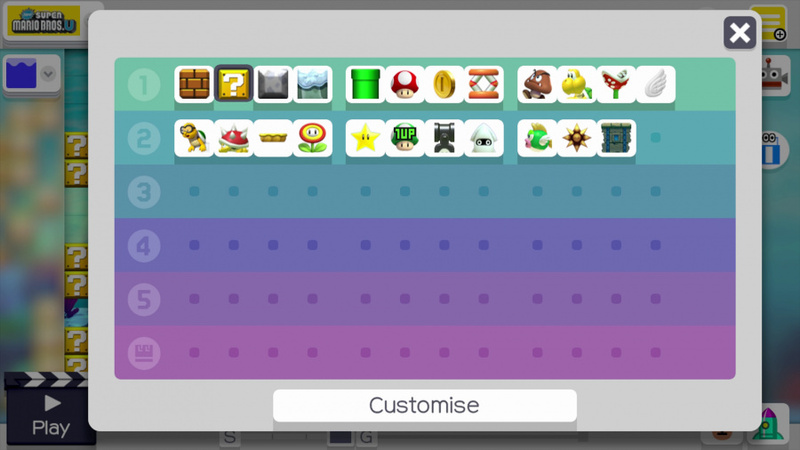 Following our recent guide to become an expert Super Mario Maker level designer, we thought newcomers to the game might appreciate a guide on unlocking all these useful tools in a timely fashion. Here we go! 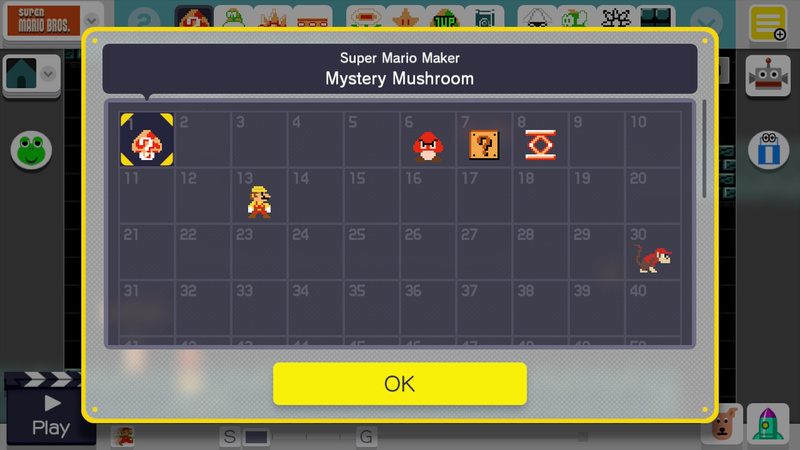 You may have heard that it takes 9 days to unlock all the building items in Super Mario Maker and been told that you can change the Wii U date in the system settings to expedite this long-winded process. Thankfully Nintendo has heard the cries of reviewers play-testing the prerelease version of the game. Upon launching the game now you'll be prompted to update to version 1.01 which makes things a whole lot quicker. Place every item you have at least once. Also try out any new themes you unlock. This isn't essential but any little red dots next to items or themes will slow you down considerably. Place lots of blocks, hundreds, thousands. If you hold L you will enter multi-grab mode which lets you highlight a chunk of blocks. You can place the highlighted section by holding and releasing ZL. After around 5-15 minutes this should prompt the delivery truck to bring along you next set of items. There is a cooling-off period of about 15 minutes where no new unlock announcements will take place after unlocking content, but placed blocks will still count towards the next unlock. Tapping an amiibo against the GamePad in Course Maker mode you will unlock that character, but you can also get these costumes (along with other fun non-amiibo costumes) simply by beating the 100 Mario Challenge mode. If you are short on time, simply play the mode on its Easy setting and you'll only need to complete 8 community created stages. If you really hate one of them, just hold down the - button to skip. Upon finishing you'll be awarded with a new costume. To use the costumes, simply go into the 8-bit Super Mario Bros. theme and drop a Mystery Mushroom item. Tapping on it will reveal all the costumes which you have unlocked. 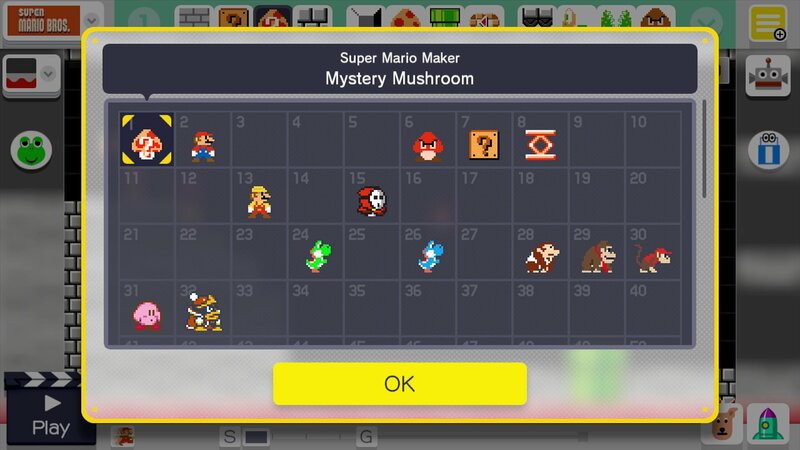 You can hide the Mystery Mushrooms in question mark boxes, or simply place it one square above Mario so it immediately falls on his head and transforms him at the start of the level without the need for any input from the player. By completing levels created by Nintendo themselves within the 10 Mario Challenge mode you can increase the number of sample courses available to you on Coursebot's list. 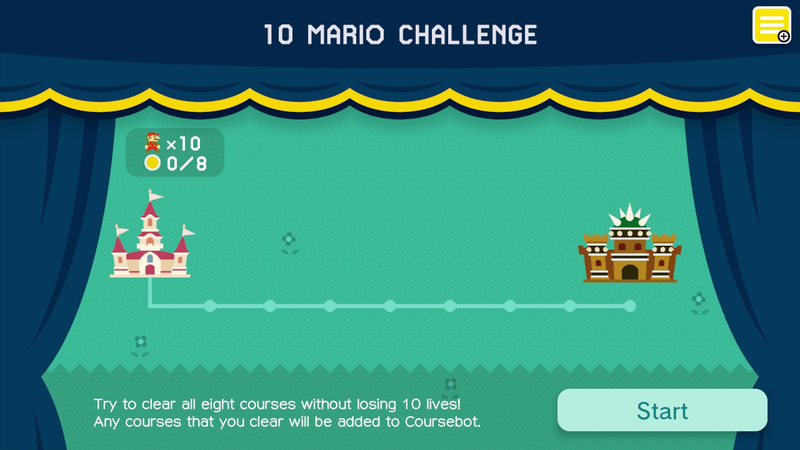 56 sample courses can be unlocked, so keep playing 10 Mario Challenge to unlock them all. We hope you found this guide useful. This will be an evolving guide, so if you have spotted something we missed (or need to correct us!) please let us know with a comment below. 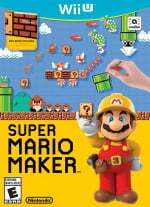 Have fun making awesome Super Mario Maker levels and remember to share them with us in our in our special level sharing area. Very helpful, thanks. My biggest problem is actually using the course maker. I'm enjoying playing people's levels way too much to bother making my own. Thanks! Yeah... I designed a level specifically to make the player enter a sub area through a pipe but then I realised it's locked! Good to know. Especially since my preorder should be arriving tomorrow. Thanks! Very helpful for me! @123akis I believe Sub levels are unlocked with the very last unlock so you probably will be able to do it once you get that done. On the amiibo costumes thing, after unlocking so many on the easy difficulty 100 Mario challenge I got a message saying I'd unlocked all I could on that difficulty, so if you want them all I guess you'd have to start doing normal and maybe even expert I don't know. Unfortunately I cant remember how many I unlocked before I hit the limit so I can't tell you. You can get that CRT TV look on any level while its loading by pressing a, b, and i think one other button but i have forgotten. @OneBagTravel I don't think shyguys are in SMM, that or they missed it out. You forgot to mention two things. A, beating the 'gnat attack' minigame unlocks the builder mario costume, and B, after unlocking all sample courses, by beating the NWC courses, you unlock tge ability to shake mushrooms into luigi mushrooms. Here's a couple of things you left out. Complete the Fly Swatting mini-game. You can initiate this mini game any time you want by shaking a Muncher, but flies occasionally show up on the level creator anyway. 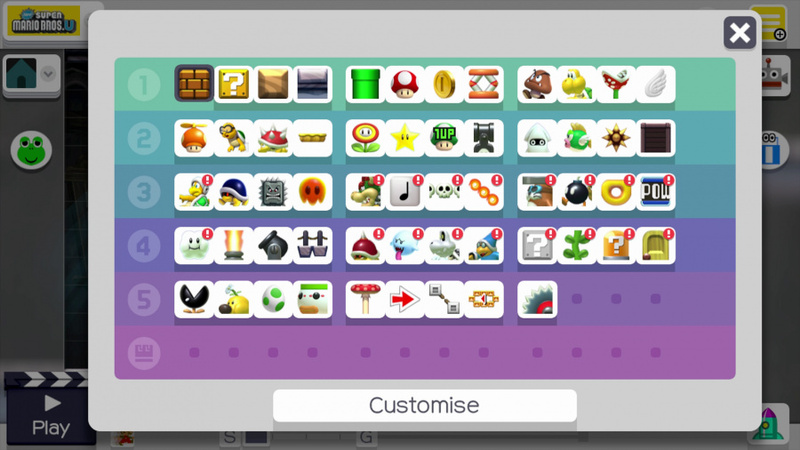 Play 10 Mario challenge enough times until you unlock all of the Sample Courses, the 4 levels featured in the finale of NWC 2015 will be available in the course bot. Play and beat the 4 NWC 2015 levels. When you've unlocked the Skinny Mushroom, shake a Super Mushroom when creating a Super Mario Bros. level. Skinny Mushrooms turn Mario into the surreal Skinny Mario, which uses "Luigi" physics. There is no cooling-off of 5-15 minutes. It did help playing the edited level in between, so that may be able to replace the cooling-off time. Finally played for a couple of hours yesterday. My most important question is - how do I find levels? There is a magnifying glass icon, which universally stands for "Search" but all it does is let you enter a 16 digit code. If I knew the code I wouldn't need to search for a level. There is a button to change from global to regional but not Friends, which are really the only levels I want to play. My kids each have their own accounts and have made and saved levels and uploaded some but I can't find a way to access those either. For all the hate Ntinedo gets for friends codes, they should at least let us see our friends levels, no? Or search by keywords in the title like "amiibo" or "easy" or "hard". Just seems like too much of an oversite I'm assuming I must have missed something. But I still don't know how to find a level in game. You can follow creators. So just follow all the people whose levels you want to see. Otherwise, you get a random assortment. @pokedude583 I was referring to the mystery mushroom skyguy in the picture above. Thanks! I definitely going to try and unlock everything! I'm so glad Animal Crossing New Leaf didn't have an update to speed up the unlocking process. Anyways...Super Mario Maker rocks but Nintendo is weak for caving in to the demands of it's fanbase and releasing this patch. Gamers should have some patience and Nintendo should grow a backbone. 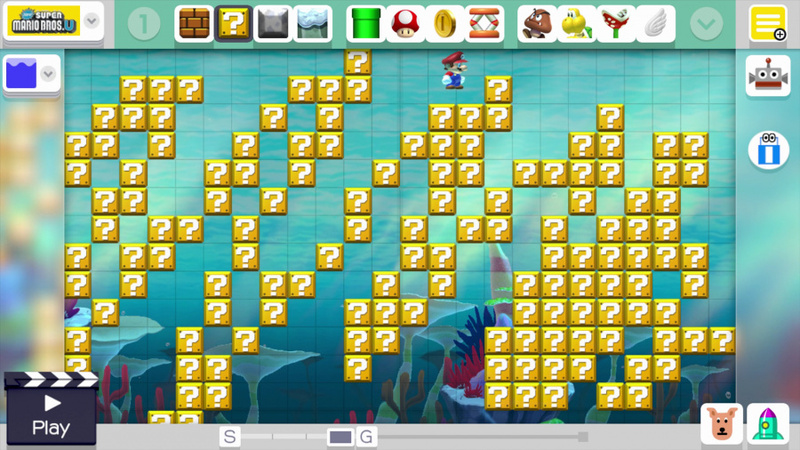 Mario Maker, unlike Animal Crossing, is not based around a daily schedule. Under the previous mode, people who wanted to have a full toolset had to either wait 9 days to get it, or cheat the system. Not everyone has the time to play games every day, so locking the full set of tools behind a time limit seemed obtuse. The sub-world function isn't even unlocked until the last shipment, and I needed that for the first level I tried making. If I had to wait 9 days for it, I'd be pretty steamed. Most people with review copies felt the same. Nintendo responded to a near-universal criticism. The time limit is still there if you don't want to unlock the items so quickly, but at least now there's a way for people to progressively unlock the tools at a reasonable pace without cheating the system. You forgot the Weird Mushroom. @Captain_Gonru I know Jax's levels will be hard, but I still want to see what he does and play them. But I don't want it to be so hard that I have to start by writing down 16 numbers on a piece of paper and then typing them into my Wii U w/ my finger b/c my kid lost the stylus. I just want to go to my friends list or into Miiverse and play them from there. I'm I'm still waiting for the US to get the japanese version of the Splaton website which tells us all our stats adn what mode and stages are up. How frikkin hard can it be to translate a website into english? My NNID already works so I know the Japanese website is global. I shouldn't need to learn Japanese to read what mode is up next. @EarthboundBenjy I know I can follow creators, it's finding them w/o typing in a 16 code that's the problem. They should at least let us search by Creator name and stage name if they aren't going to connect us to our friends. 9 days isn't that long of a wait tbh. @bezerker99 yes but anything above 7 is too much in my book TBH. It's weird because on the title screen, it said I had 1.01 but it still gave me the 9-day time limit. I had to time travel! I couldn't stand waiting 9 days for everything! @Captain_Gonru Thanks. I feel like I'm having 2 halves of the same conversation w. you and Jax. Better than repeating myself I suppose, but it's time to go light the barbie. Maybe I need a beer first. That should tell you the 16 digit code to search for, then go to your own and enter it into the search function. Regarding the costume unlock, there's only a certain amount you can unlock on easy mode then you have to go onto normal. My game is updated but mine is still the old way. I have the stupid nine day unlock for some reason. Game clearly says 1.01 on title screen. @Captain_Gonru @JaxonH @crystalorbie Thanks. I'm dedicating my time watching the Mets pre-game inputting 16 digit codes into my Gamepad. I'm not playing any levels on the Gamepad but it's OK for all this gruntwork. Btw way guys, try my level if you are up for it. Not easy but shouldnt be that hard. 4484 0000 002A 49AA. Dont fall! Except at one part anyway. I do tap the mystery mushroom, yet I don't get the option to choose a costume. What do I do wrong? It said I had everything unlocked but where is the big mushroom to make enemies bigger? I just use the super mushroom. The quickest way to unlock is to keep placing blocks on the screen. Then you will receive notification of delivery tomorrow. Quit the game and then set tomorrow date. And viola, your delivery has come. Repeat the process and you can unlock everything within an hour. @bezerker99 Apples and oranges my friend. Some people won't even play this game for 9 days, how is making them wait fair to them? @donniedarkenson those people must be made of money! I pay $60 for a game, I'm damn sure gonna play it more than 9 days, what tha whut???? Anybody wanna try my levels? Good to know; I already did the time warp and got everything because I couldn't figure this out. Never mind, I tapped the mystery mushroom and I got the option to choose a skin. Don't know why it didn't work last time. By the way: No need to fiddle with the clock. Just spam blocks untill you get the notification: "New items incoming soon", then spam some more blocks untill the truck arrives. And of course make sure you tried every new item/element at least once. That way I already unlocked quite some stuff, and I think most things can be unlocked that way! does anybody no how to get pipes that u can go down an warp to another pipe ? @digga Pipes (or at least the option of going into them) are one of the later day unlocks, along with doors. To make a pipe into a warp pipe, simply drag mario into the pipe like you'd drag anything into it for spawning stuff. Mario will go into the pipe and you'll find yourself with another screen, fully customizable [ok, there is a limit in that the game has to be the same, can't have levels with smb1 and smb3, for instance], essentially another stage to work with. If you want to make another entry/exit point between halves, do it again from either side. Please note: Doors only go in the same level half. Pipes only go between level halves. Also I don't know if there's a warp limit on pipes. Doors can hold 4 sets, and precious few things pull from the same resource set unless they occupy the same slot in the toolbars. Please try my Super Shulk's Chronicle: F80A-0000-003B-4377. Hint, don't lose Shulk! Yea why spoil the fun of unlocking things gradually, I'm quite proud of the levels I made on day one with limited assets. This is probably a dumb question, but how do you unlock the song changing elements? Like when people make boss encounters and the song changes? I have the SFX menu, and I can have the Bowser face pop-up for that quick sound, but not full music change. @123akis Hey, mate hope you are good. Let me know the code(s) for any levels you create. Would love to try them out, and give feedback. Speak soon mate, glad you are enjoying Super Mario Maker. @bezerker99 9 days of playing, sure. 9 days of using the very gimped creator that it is before unlocking everything enough to trigger the next days shipment is another thing. @Kirk Agree to a point. I started making a level last night, but eventually I just went back to playing levels. I love finding challenges, and love that Nintendo Life has set up a great community for the game. I'm sure I'll make a level or two eventually, but there's not much of a challenge you can create for yourself, because you are also creating the solution at the same time. @XCWarrior Well, I'd suggest that 99% of the time the point in creating levels is not creating them for yourself but for others. I think the challenge in gameplay/skill comes from playing and beating other people's levels, but the challenge in designing great levels/experiences comes from you trying to think of creative ways to challenge and entertain someone else. You can find a lot of satisfaction in beating someone else's level, or just seeing a really cool user created level, but if you do eventually manage to make something great yourself then there will be a lot of satisfaction in seeing other people enjoy it and praise it.